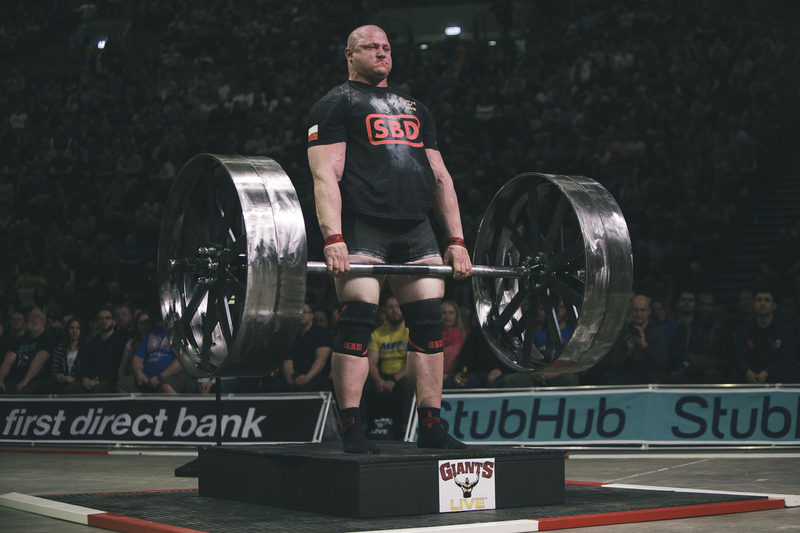 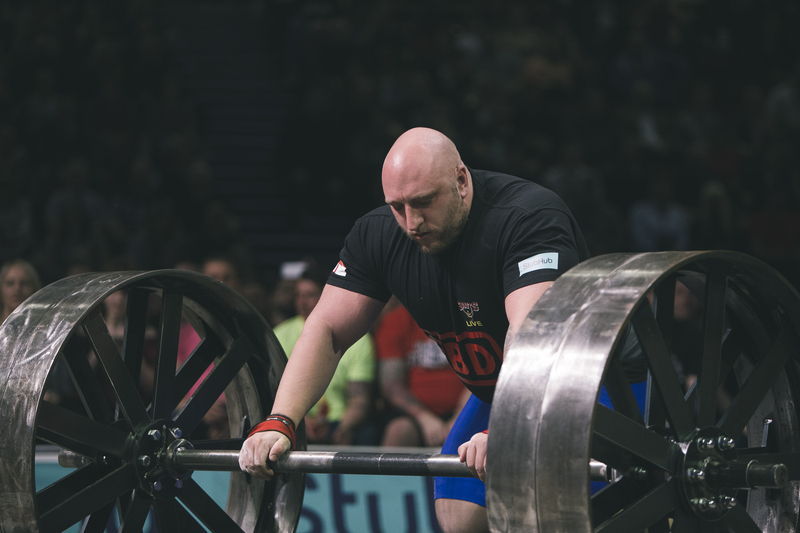 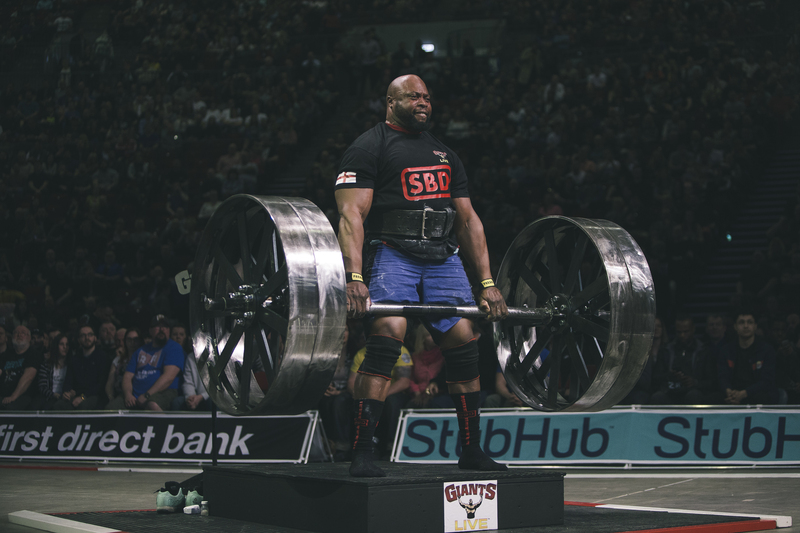 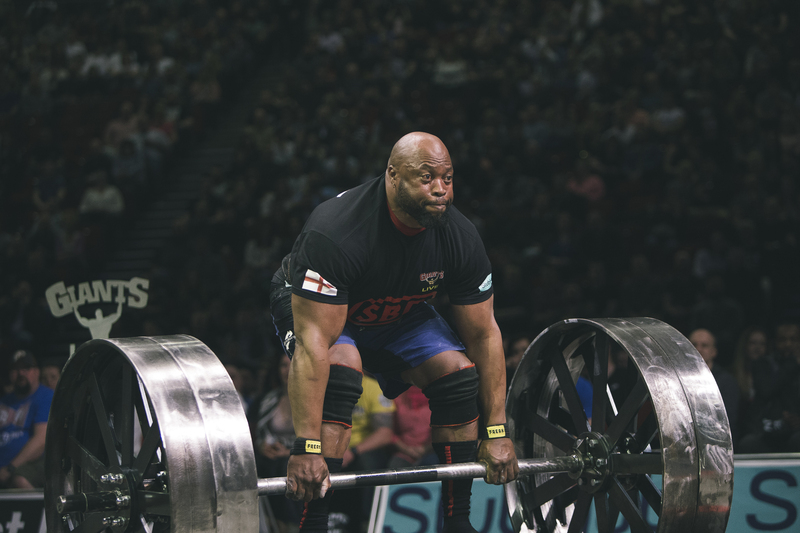 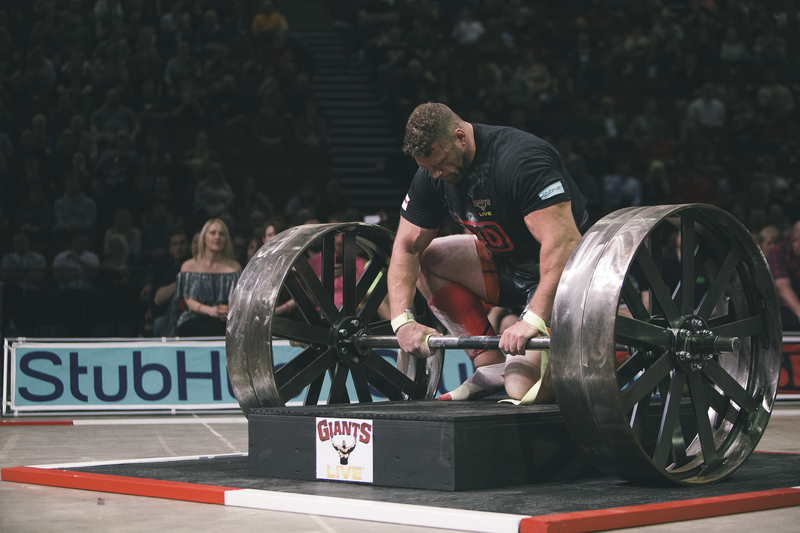 A new event in 2018 for Giants Live is the Giant Train Axle Deadlift - similar to a standard deadlift but with an added twist. 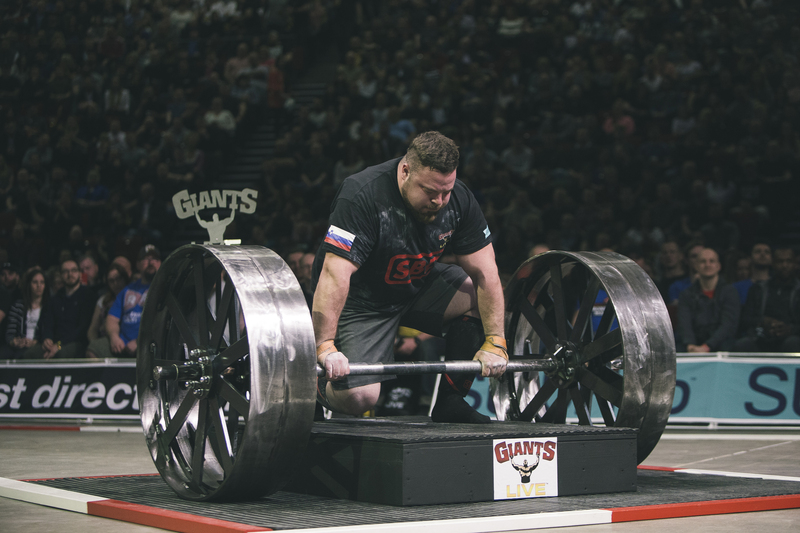 Athletes must lift the 380kg axle (based on the rough dimensions of a train's axle) from a height of 9 inches, lock out into a standard deadlift, lower the bar and then repeat for as many times as they can within the 60 second time limit. 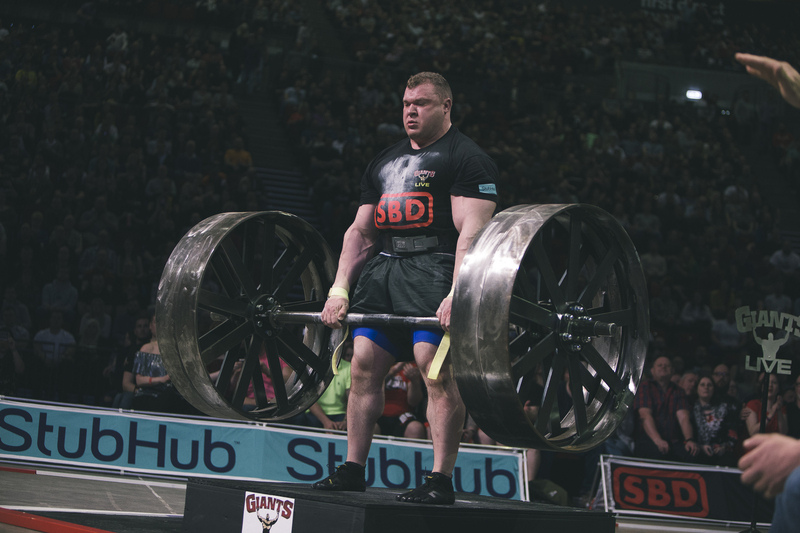 What makes this particular lift so dificult is the sheer diameter of the bar they are lifting. 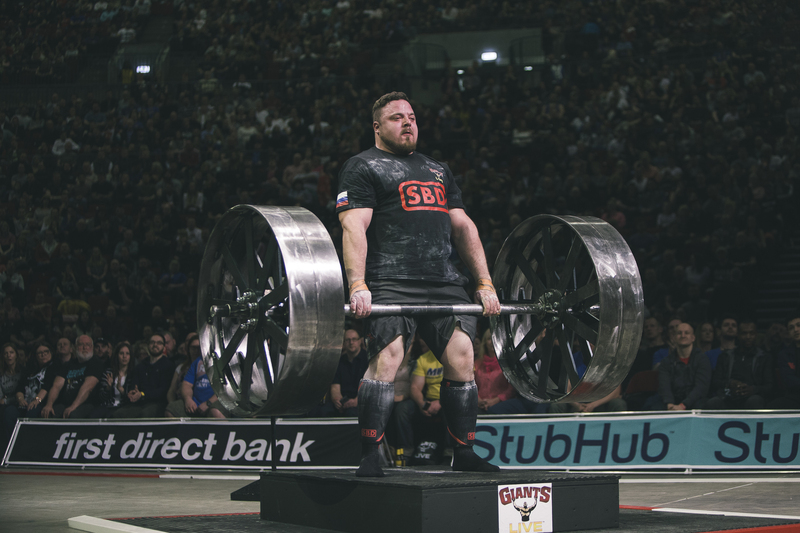 Couple that with a bar that doesn't flex, it really is an extreme test of strength and endurance. 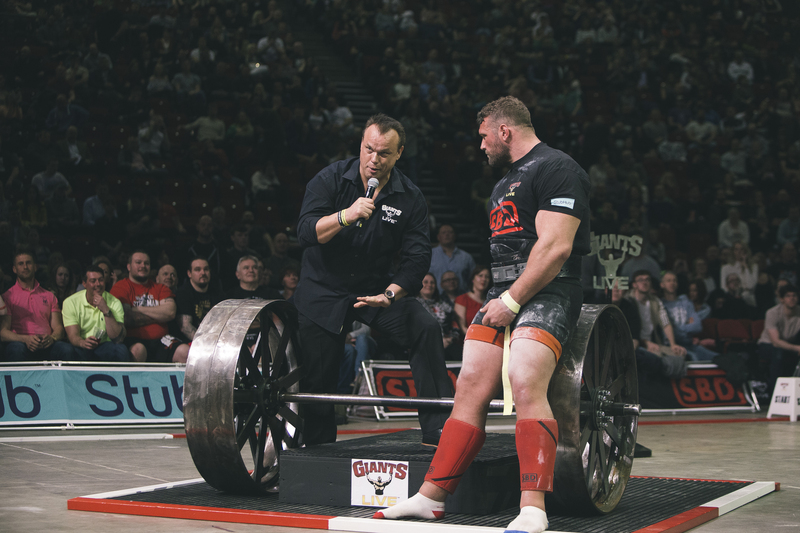 Watch Colin Bryce and Terry Hollands explain what it takes to lift a giant train axle!